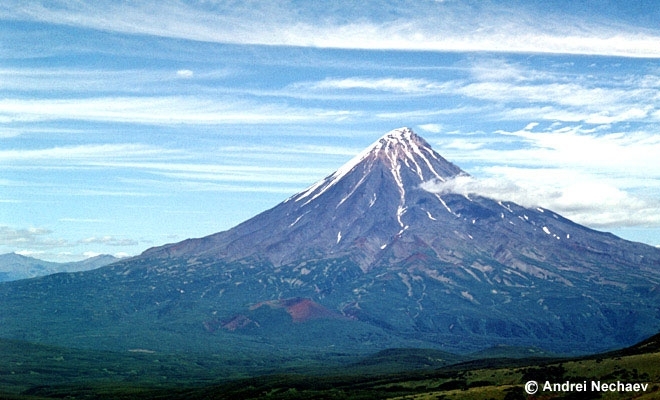 Volcano is location in the northern sector of the Eastern Kamchatkan volcanic area, 10 km east of Kronotsky Lake, 225 km northeast from Petropavlovsk-Kamchatsky. Kronotsky is a stratovolcano with an ideal conical shape. 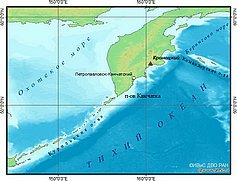 There is a small andesibasalts extrusion at the summit. 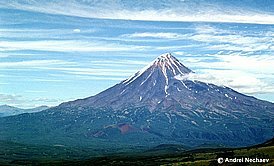 All historic eruptions and fumarolic activity were noted on a single fumarolic field situated on the southern slope at an altitude of 3,150 m.